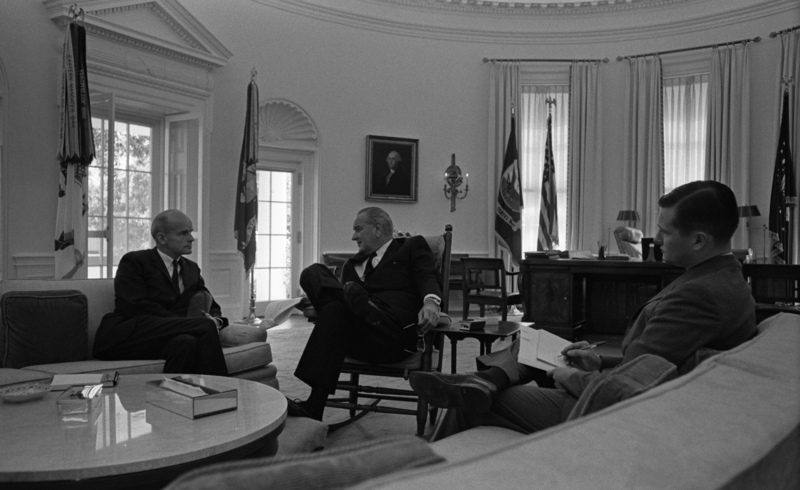 L-R: Sen. William Proxmire, President Lyndon B. Johnson, and De Vier Pierson discuss milk prices. Oval Office, White House, Washington DC, 9/1/1967. Photo # a4731-22a by Yoichi Okamoto. White House Photo Office collection, LBJ Presidential Library, public domain.